Sony is in the process of launching a number of new smartphones with others rumoured to be in the pipeline, but recently the Sony Xperia ZL managed to break a Guinness World Record as the handset becomes available around the world. The company has revealed it has managed to snag the world record for the largest animated mobile phone mosaic, which was achieved by assembling no less than 196 Xperia ZL’s in a single mosaic. It measured 1.9m x 1.03m with a surface area of 1.95 square meters and was done at the Mobile World Congress event back in February in Barcelona, Spain. 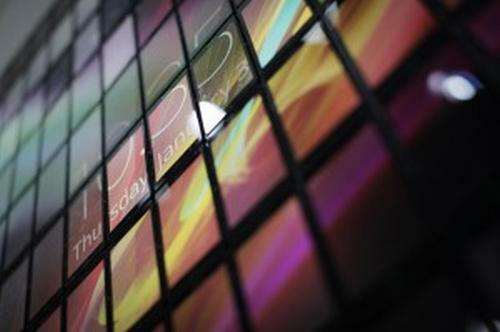 Its mosaic was arranged in a 14 x 14 grid with all the handsets synced together to create one massive display. The handset has already landed in parts of Europe and its availability is growing quickly with the likes of the US, Canada, and India seeing pricing and pre-orders getting underway. To recap the Sony Xperia ZL uses a Full HD 5-inch touchscreen display with an impressive 443ppi pixel density, which uses a quad core Qualcomm Snapdragon S4 Pro APQ8064 processor clocked at 1.5GHz under the hood. This is paired with 2GB of RAM running the Android 4.1 Jelly Bean operating system with an update to 4.2 Jelly Bean due to arrive in the not too distant future. Have you pre-ordered the Sony Xperia ZL? is there any release date for uk?